I was browsing the books in the genealogy section of a large library a few years ago when I found a detailed history of the Civil War battles that involved one of my ancestors. My problem was how to capture that passage for my own records. In those days, the usual solution was to make expensive and painstaking copies of every page that I wanted. Today, I could easily capture all of the text using OCR Instantly, an iOS app quickly converts images into text. The app works like a bar code scanning app. 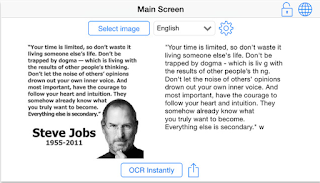 You use the iPhone camera to capture a clean and well-lighted image of the text you want and press the OCR button. The app reads the words in the image and converts them into plain text that you can store, export or send. 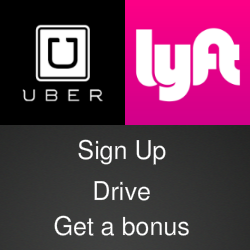 The app works without an Internet connection and the digitized text can be copies to the device’s clipboard or shared directly with another app. The app works on almost any iOS device, including iPads and the iPod Touch. It can read more than 60 languages, including Swedish, Greek, Russian and even Cherokee, though the developers warn that results may not be good for some graphic languages like Arabic or Chinese. OCR Instantly is available in the iTunes App Store. An ad-supported version is free and you remove the ads with an in-app purchase. A version for Androids also is available in the Google Play Store.